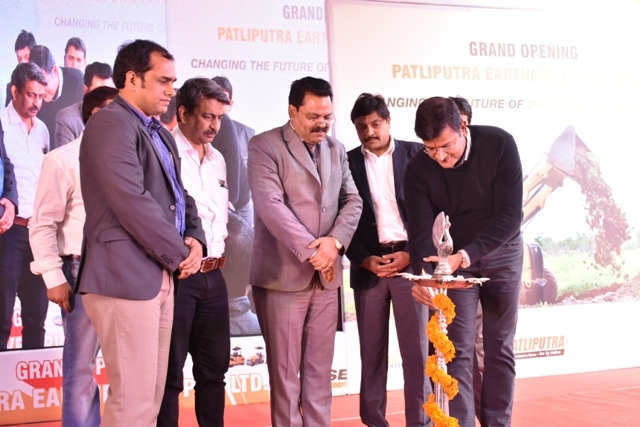 CASE Construction, a brand of CNH Industrial, strengthened its distribution network in Bihar with the opening of a new dealership facility – ‘Patliputra Earthmover Pvt Ltd’ near Didarganj in Patna. Spread across 10,000 sq ft, this facility is the largest CASE India footprint in the state of Bihar. Patliputra Earthmover will serve customers across North Bihar with additional branches at Motihari, Darbhanga, Saharsa, Purnia, Muzaffarpur, Bhagalpur and Begusarai. CASE Construction is present in India since 1989 and has consistently remained a market leader in the Vibratory Compactor segment, being the only brand to have sold over 12,000 units in India and is also a leading player across other segments with more than 28,000 Loader Backhoes and 400 Motor Graders sold in the country. The sustainability of the organization for over a quarter of a century in India is the result of CASE India’s market leading products, its ever increasing and loyal customer base and its transparent and ethical business conduct.